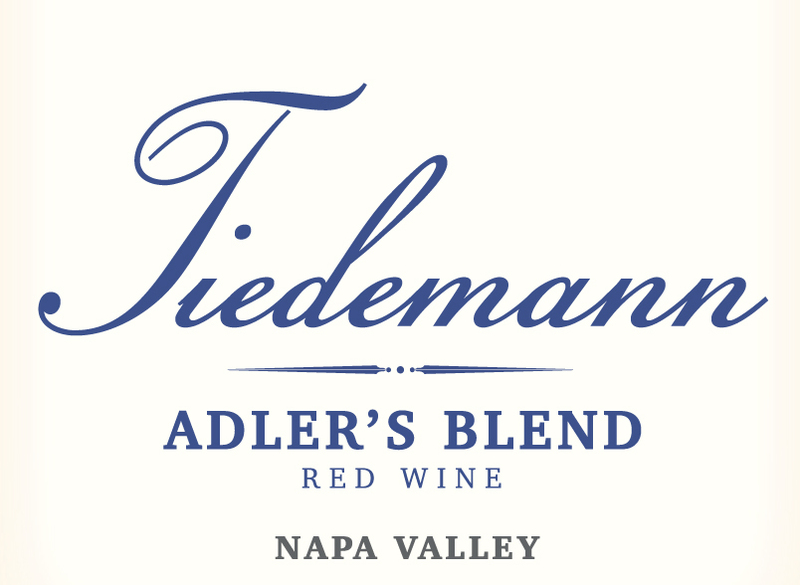 This blend Zinfandel, Petite Sirah and Lagrein is named after Carl Tiedemann's grandson, Adler Bear Carris. On the palate there are juicy fruit flavors of dense black fruits with a little hint of oak. This combination makes the palate pure and vibrant. The denseness of fruit, coupled with some acidity, reveals the wine’s youth. The combination of the wine’s youth, alcohol level (15.2%) and spiciness produce a rather hot, complex finish. Adler’s Blend is a very young and complex red wine. The color is a deep, dense red/purple with a tinge of black. Because the wine is young, it has a tight nose. The wine has a high alcohol level of 15.2% (which is common in Zinfandels). The high alcohol level, coupled with the acidity from the Petite Sirah, might overpower your palate if the wine isn’t given time to air in a glass or decanter. This decanting will open up the nose, and soften the mid palate of the wine and beginning of the finish. On the palate there are juicy fruit flavors of dense black fruits with a little hint of oak. This combination makes the palate pure and vibrant. Again, the denseness of fruit coupled with some acidity reveals the wine’s youth. The combination of the wine’s youth, alcohol level and spiciness produce a rather hot, complex finish. This finish goes on to coat your mouth and then provide a degree of chewiness. The finish lingers for a nice period of time. This wine should drink well for the next 10 to 12 years.